Able Seedhouse and Brewery, the newest brewery in the Logan Park neighborhood, is opening November 6th. We stopped by their soft opening the night before in order to get a sneak peak at what you can expect from Able. Located just walking distance from Indeed, 612Brew, Bauhaus Brew Labs, and Sociable Cider Werks, Able is definitely in good company. The Taproom is clean and spacious, making use of natural wood and ample lighting to give a warm atmosphere. There are attractive views of both the brewhouse and fermentation areas from the Taproom for those looking for a peak behind the scenes. Tables are lined with small plants, and an intriguing magazine Able had created just for their taproom. Featuring photos, information about Able, and fun facts, these handouts were a nice twist on the typical bar literature. Inside you can even find a flowchart showing the musical connection between Bob Dylan and Insane Clown Posse. 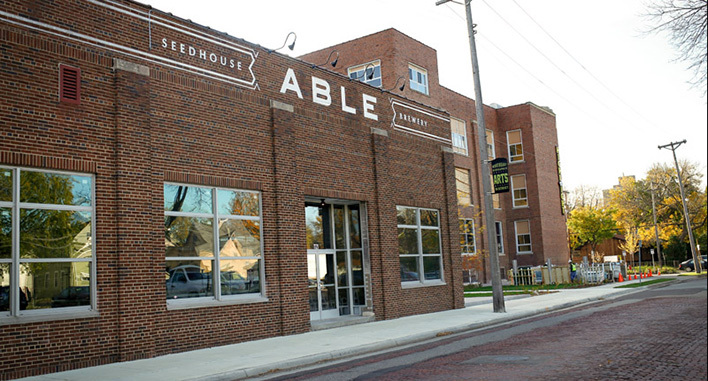 On opening night Able Seedhouse + Brewery will have four flagship beers on tap: First Light IPA, Blk Wlf Stout, Twin Sparrows Wheat Pale Ale, and House Red Ale. We tried all but the IPA, as it wasn’t on tap at the soft opening, but we were assured it would be on tap at the grand opening the next evening. Among the three beers we tried, Blk Wlf Stout was the clear standout. The nose had a mild hint of hops and a light caramel sweetness. On first taste we noted an excellent malt character that was strong in roast, with a mild chocolate finish. Served on nitro, the body was smooth and creamy. 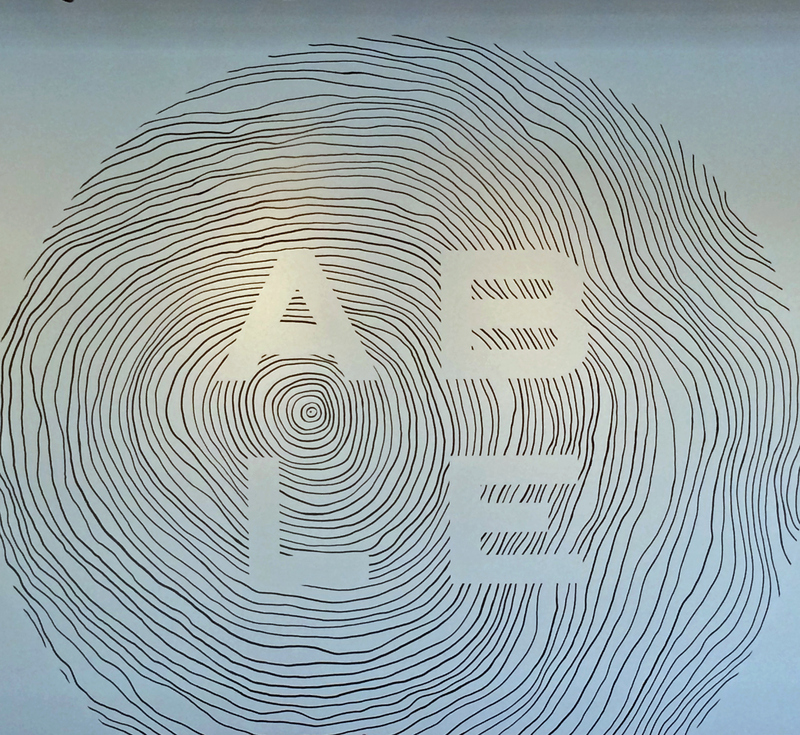 One standout thing about Able’s beer was the ABV. Their Stout, Wheat Pale Ale, and Red Ale all stand below 5% ABV. 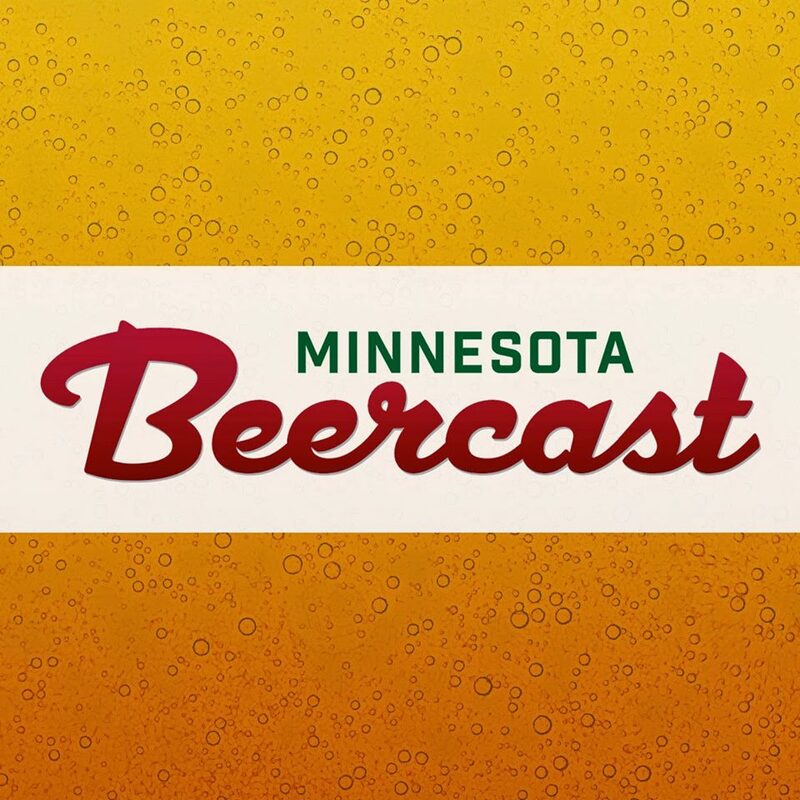 This means that one can have more than just one or two beers without feeling a serious buzz, and with session beers becoming even more popular, this is a wise move on Able’s part. Perhaps the most intriguing fact about Able Seedhouse + Brewery is their plan to start malting their own grain. Malting, the process of kilning and drying grains for use in brewing, is typically done by dedicated malt houses, not by breweries themselves. 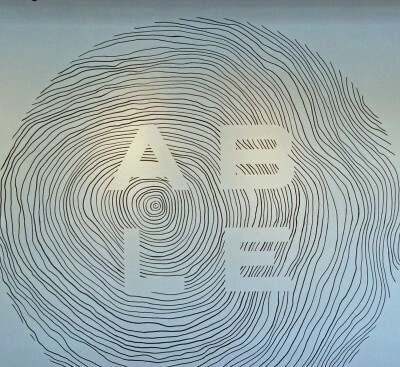 Able intends to malt locally grown grains, and use a percentage of that in their own brews. Will this in-house malting capability bring a unique twist to their beers? We are interested to find out.